On the first Saturday in May, many Americans will turn their attention to Churchill Downs for the most exciting two minutes in sports. The best of horse racing will be on display for the 137th Kentucky Derby Presented by Yum! Brands (gr. I). Away from the crowds, however, horse racing finds itself facing an unattractive reality. Too many of its equine athletes are overmedicated and doped. The Sport of Kings is no place for such a drug problem. American horse racing stands apart from the rest of the world when it comes to permissive medication rules and tolerance of doping. Unlike other countries that ban race-day medications, racing jurisdictions here allow injecting horses just hours before post time. There are trainers who violate medication rules multiple times, seemingly with impunity. According to a recent Racing Commissioners International letter, one trainer has been sanctioned at least 64 times for various rule violations, including medication violations involving the Class 2 painkiller mepivacaine and the Class 3 drug clenbuterol. This tolerance of doping represents a shameful abuse of an iconic American animal, and it is time to put an end to it. Anyone who goes to the track outside of a Triple Crown or Breeders’ Cup race knows that attendance is down across the country. The decline is especially stark considering that horse racing was once the No. 1 spectator sport in the United States. 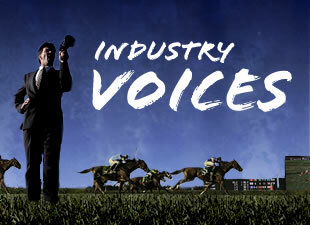 One poll of sports industry insiders found that most think horse racing is in decline or dying. With the loss of fans comes a loss of revenue that ultimately sustains a $40 billion industry and 400,000 jobs nationwide. As current fans leave the sport, many potential new fans may never come to the track while doping is rampant. Although a horse may need therapeutic medications from time to time, there is no excuse for injecting almost all Thoroughbreds to race. As RCI chairman William Koester rightly noted, that just does not pass the smell test with the public or anyone else. It is hard to believe that race day “anti-bleeder” medication does not affect how a horse runs when comments on past performance sheets highlight “first-time Lasix” as a betting angle. If race-day medication is essential for the welfare of the horse, why do countries in Asia, Europe, and the Middle East ban it? Why do foreign trainers who never race on anti-bleeder drugs abroad seem to always use it when competing here against our medicated horses? While medicating sound horses on race day is concerning, the doping of sore horses is appalling. Sore and lame horses should not be raced. Feeling no pain, an injured horse on drugs may continue to charge down the track, endangering every horse and jockey in the race. Drugs may account for the fact that the U.S. horse fatality rate is more than three times higher than in comparable British flat racing. Trainers or anyone else caught doping racehorses should face stiff penalties, including fines and meaningful suspensions. We reluctantly believe that Congressional action is needed to address this critical challenge facing the industry. Unlike other sports, horse racing lacks a governing body that can issue uniform medication rules and ban performance-enhancing drugs. That is why recent calls from the RCI and The Jockey Club to phase out race-day medication are not enough to save American horse racing. An existing law, the Interstate Horseracing Act of 1978, should be amended to ban performance-enhancing drugs and require stiff penalties for doping. We plan to introduce legislation soon in the Congress that would do just that. Congress enacted the IHA to protect and further horse racing. Through the IHA, Congress allowed the horse racing industry to conduct offtrack and Internet wagering across state lines, a unique benefit that no other gambling enterprise enjoys. Congress thus has an oversight responsibility when it comes to a drug problem that threatens the safety, integrity, and viability of the sport. We take this duty seriously. We also know how important drug reform is for those who make their living from the sport. Eliminating doping through the IHA will help bring integrity back to racing, benefiting everyone involved and, most importantly, the health and safety of the horses at the center of it all. It is time to draw the line against performance-enhancing drugs in horse racing.